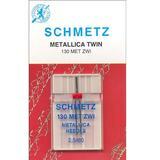 Sewing with metallic thread will give your sewing project that extra pop. 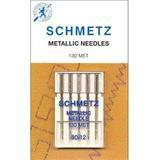 Here at Sewing Parts Online, we offer metallic needles to make using your metallic thread easier and trouble-free! 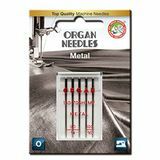 These needles have a larger eye, making threading those thicker metallic threads easy. A large groove to prevent shredding of the delicate metallic threads is also a great feature!